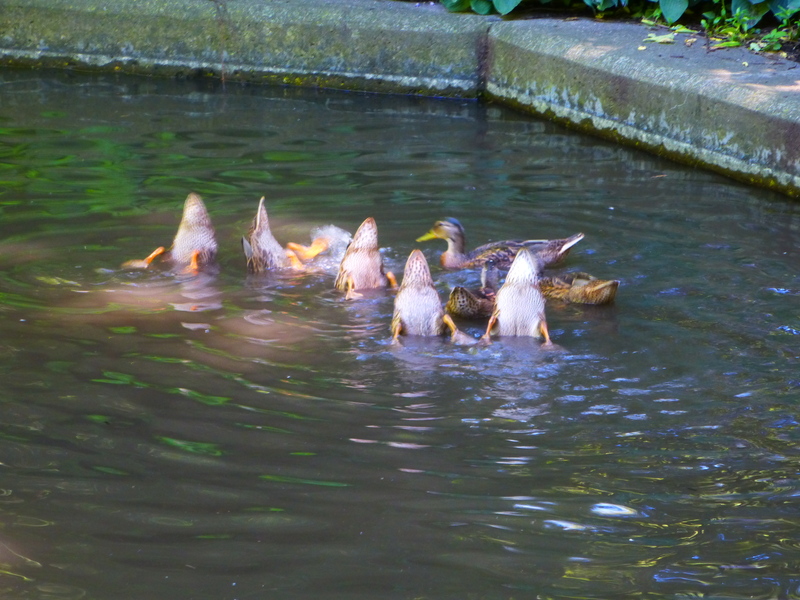 All is well, and the “ducklings” are so large, and have now developed white-ish tails like Mom, that I can’t tell them from Honey very easily. I also swear that this morning, when I fed them corn on the lawn, one of the babies flew a bit to reach it. The turtles were sunning en masse as it was cool yesterday. 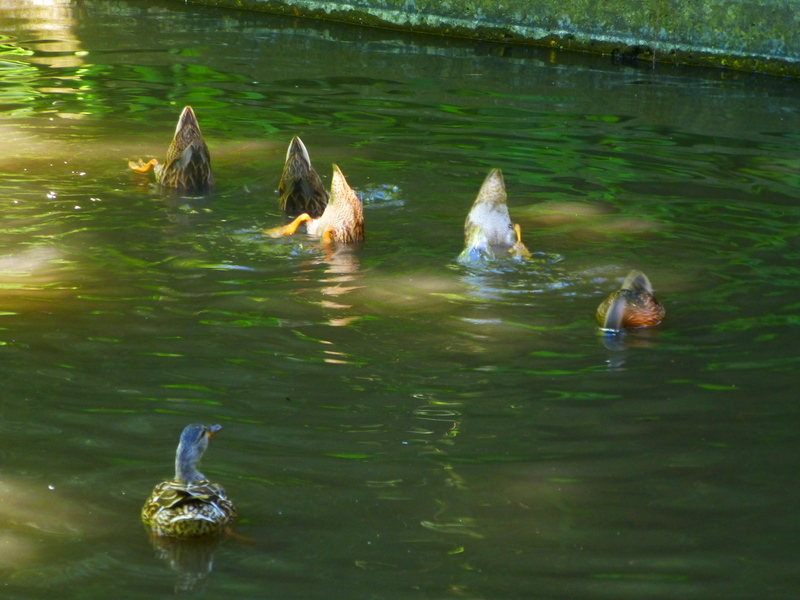 This one, trying to heave himself onto the duck island with his fellows, couldn’t make it, and slipped off. It’s hard for them to climb that concrete ring, but they manage to do it! And, of course Honey, who is now eating better. I wonder if, having realized that the ducklings are pretty much self-sufficient and able for dabble and forage, can now help herself to the food rather than waiting till her brood eats. This entry was written by whyevolutionistrue and posted on July 7, 2018 at 11:00 am and filed under ducklings, ducks. Bookmark the permalink. Follow any comments here with the RSS feed for this post. Both comments and trackbacks are currently closed. …. backspacing cost : negligible. I think the number of comments on a post strongly affects this symptom…. Folks I’m telling you, they are mooning us. Duck are way more smarter than we think they are. Mooning hypothesis rejected! Smart ducks do not moon the guy who brings the chow — that’d be maladaptive behavior. You should be sorry. “Mallardaptive”, indeed. I won’t remind you of this incident, or report you to the relevant authorities, but you must promise never to do such an awful thing again. Yeah that was a major duck-up on BJ’s part, wasn’t it? Stop making things worse. Do you want us to both end up in prison? Ductors Jerry and Anna et al.